I’m already thinking about my weekend plans and this weekend, my plan involves a wedding. My friend and former co-worker Rahul is getting married and I am so excited to attend. He’s Indian so the wedding will be a little bit different than I’m used to, but I’m crazy excited to see all the different traditions. I wasn’t sure what the attire was, so I erred on the side caution and decided to go with classic black. Now classic doesn’t have to mean boring and this dress is anything, but boring. You definitely make a statement in this LBD with the overlay of black lace and cream colored tulle. Rent the Runway is a must for anyone who goes to at least a few big events a year. I would definitely also recommend getting the Pro account. A free dress on your birthday, free shipping whenever you rent and you always have dress insurance. A definite must if you have a ton of events to attend every few months. I’m pairing the dress with a pair of pointy toe black pumps from J.Crew. They’re comfy enough that I can walk around in them and make the rounds for most of the day without desperately needed to take a seat (oh so important for a wedding). As soon as I picked the dress, I knew the perfect purse to pair with the look was my Kate Spade Mini Maise. I can’t never seem to get enough of its cute mini-ness. It goes with practically every outfit I own. I wanted to add some sparkly flair with this crystal bib necklace from BaubleBar. With my outfit all planned out and ready to go, I know my boyfriend and I are going to have an amazing time. Congrats to Rahul & Avni! Pumpkin may be in every scone, muffin, cracker and pie around right now, but it’s also in a ton of yummy smelling products that all pumpkin lovers really should try. I’ve always been a big of fan of pumpkin in practically everything. On particularly stressful days, I let myself overdose in pumpkin scented everything from shower gels to face masks to pumpkin scented candles and tea. 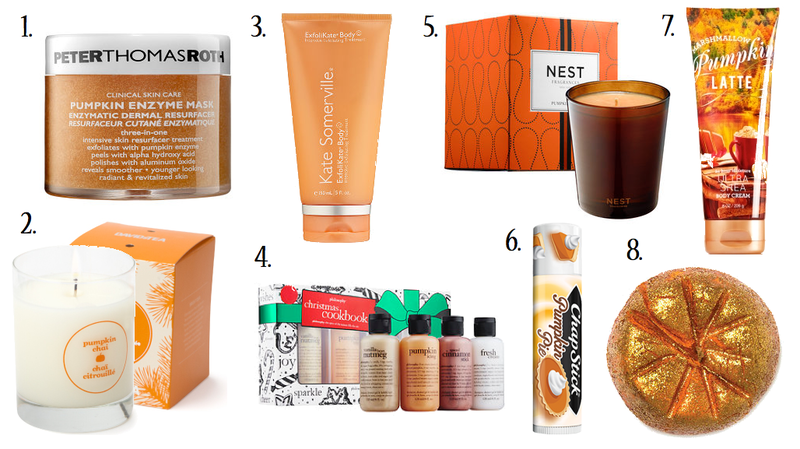 Check out some of my pumpkin scented favorites. The Peter Thomas Roth Pumpkin Enzyme mask works like a dream making your skin super soft all the while smelling like pumpkin pie. Seriously, it’s probably one of my favorite face masks ever. It’s one of the only masks that works well with my sensitive skin and continually works on improving. I’m also kinda obsessed with the entire Pumpkin Marshmallow Latte line from Bath & Body Works. I basically smell like a combination of pumpkin and brown sugar all day long. Layering the lotion and fragrance mist is definitely the key to all day wear. If you’re as pumpkin obsessed as I am, then you definitely need to pick up a few of my products favorites below. Do you have a pumpkin scented product favorite? Share with me in the comments below! Okay, truth time. I may have a slight obsession with plaid. Maybe slightly more than a slight obsession. Jackets, purses, scarves, even phone cases. I just can’t seem to get enough of any of it. The pattern itself seems to signify fall and winter so now is the perfect time to load up. To be honest, sometimes plaid patterns can come off as slightly masculine so I like to do my best to add a feminine flair. Sometime that means pairing my favorite plaid button down with a sparkly statement necklace or pairing it with my favorite black pencil skirt. 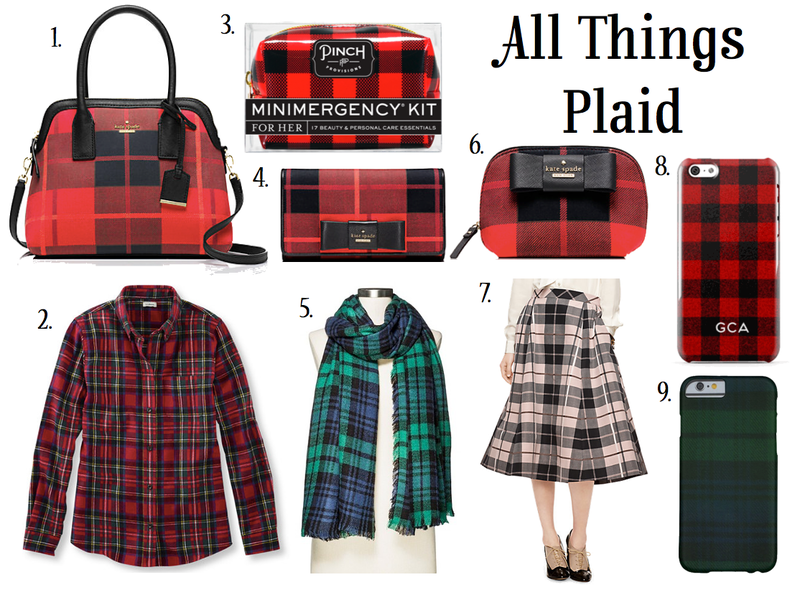 Check out some of my plaid pattern favorites below! I plan to add many of these to my closet very soon. Are you mad about plaid? Share with me in the comments below! Fall is creeping up on me. I can’t believe it’s already October! It’s the start of cooler weather and fall wardrobes. I’ve been stocking up on some of my favorite fall essentials and thinking about my favorite pieces from last fall. 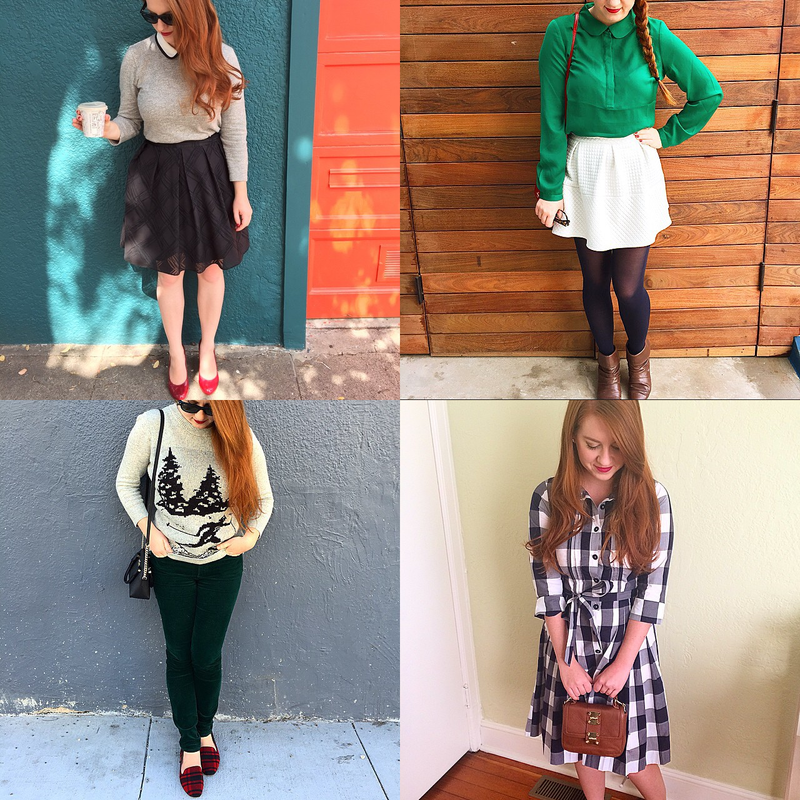 I took to looking to some of my favorite outfits combos from last fall that I showed off on instagram. They’re looks that I basically wore as my daily uniform last year so it’s a safe bet to say I will be pulling them out again this year! I love looks that last season after season. I can’t wait to go shopping again for cozier pieces to add to my fall looks. Check out some of my favorites looks from last year below and be sure to follow me on instagram to check out new looks from this fall. 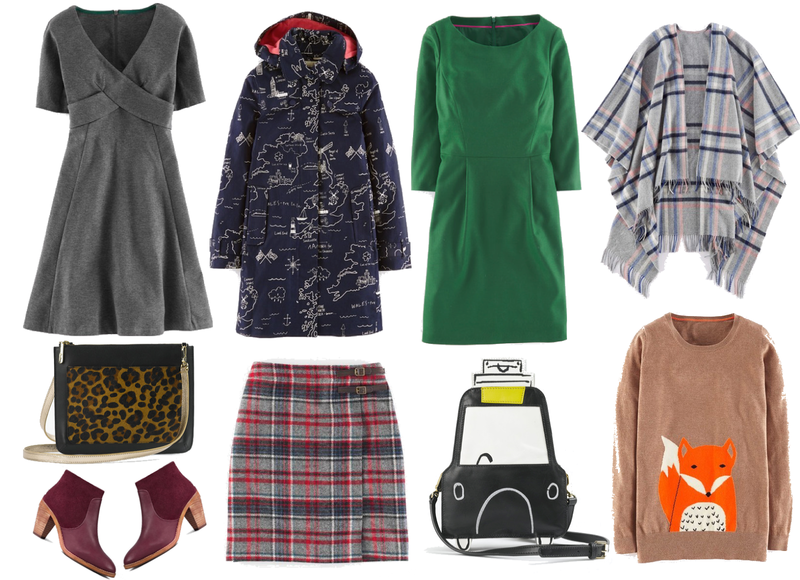 Have a favorite fall look of your own? Share with me in the comments below!